A perfect spot for an overnight or full weekend of camping fun offering endless photo-opps and lots of places to explore from the campsite. Want to go backpacking, but don’t have a lot of time to commit to a full weekend trip? Crater Lake is a fantastic and leisurely overnighter, totaling just 11 miles. 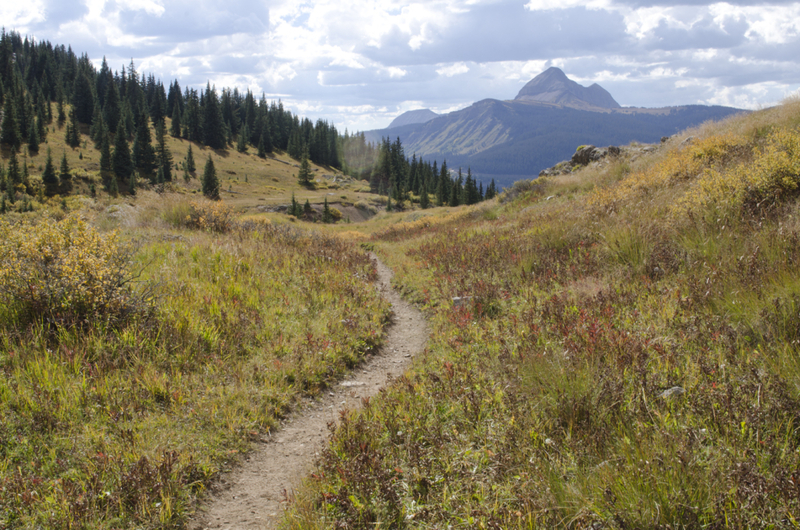 The trail, which is near the top of Molas Pass, climbs steadily through vast, open meadows where the craggy peaks of the West Needle Mountains rise in the distance. The lake, which sits at the base of North Twilight Peak, has several pre-established campsites where you can watch the reflection of the sunset in the clear water. Don’t bother stowing your camera for this hike; you’ll want it out for all 5.5 miles to Crater Lake. The trail starts at 10,800 ft. near Andrews Lake, just off of US 550 and switchbacks up a high bench to the border of the Weminuche Wilderness Area. From here, the trail crosses high, open meadows with endless photo-ops of the surrounding mountains: Snowdon, Grand Turk, Sultan Mountain, and the Twilights. The trail climbs in and out of forests, offering a bit of shade on a warm day. Before reaching Crater Lake, the trail descends into a low marshy area, which can be wet and muddy if it’s been raining. Take care to stay on the trail – even if it means getting dirty – as constant wear and tear on the side slopes causes erosion. When you reach the lake, campsites can be found on the West and North side of the lake underneath the trees. The lake sits at 11,600 ft. and it can sometimes get close to freezing, even in the summer. Be sure to bring base layers, rain gear, and a warm mid-layer. Water from the lake is drinkable if treated properly with a filter, iodine or chlorine tablets, or a UV purifier. If you made it up to the lake in record speed, there are plenty of areas to explore nearby. Twilight Peak and Snowdon Peak are both accessible from Crater Lake (although you’ll want a full day to tackle them). Depending on seasonal regulations, you could also pack a fishing pole and reel in some cutthroat and brook trout. The trail to Crater Lake is well graded and can be enjoyed by a wide variety of hikers, although, because of the altitude, some may find it challenging. 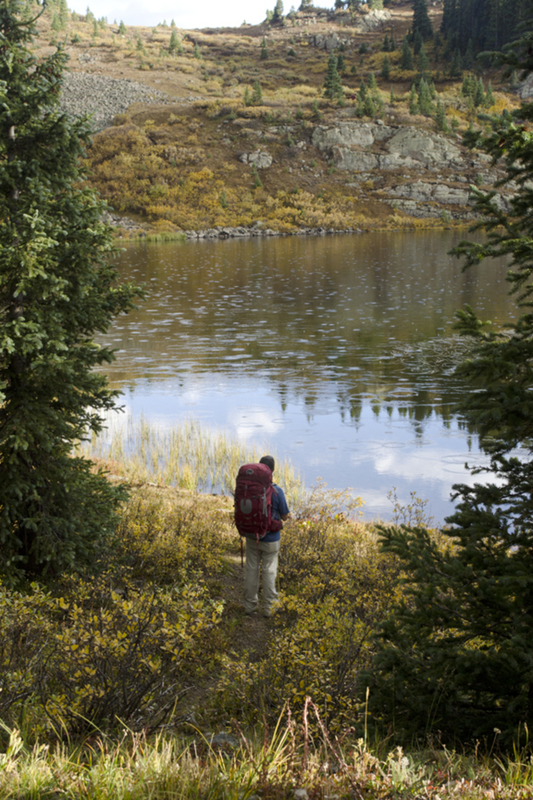 Most hikers should be able to reach the lake in an afternoon and be out in time for lunch the next day. If want to make your friends jealous, be sure to post lots of pictures from this hike. The trailhead and carpark are located just off of US 550 by Andrew Lake. Be sure to park in the long-term parking area. Head North out of Durango toward Silverton. The turnoff to Andrew Lake is some 40 miles North of town and is hard to miss. 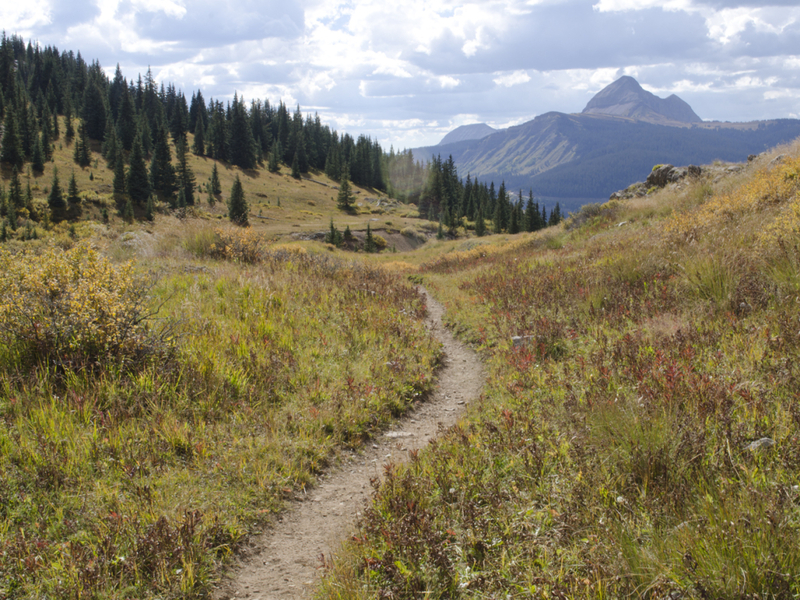 As the majority of the trail is located in the Weminuche Wilderness Area, groups larger than 15 people are not allowed; nor are bicycles and other mechanized travel. Camp at least 100 ft. from any water source, bury human waste at least 6” deep, and practice Leave No Trace. And don’t forget to hang a bear bag!